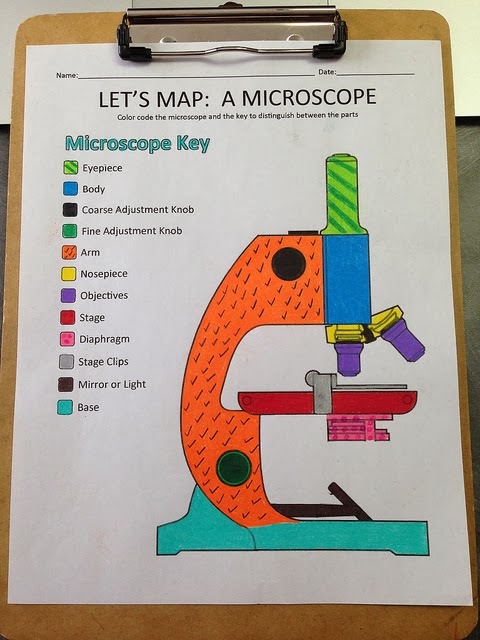 My students used to love microscope lab days. Who doesn't like seeing cool stuff like human skin cells, dog hair and pond scum magnified before their eyes? Before I let them loose with the expensive instruments, however, I make them learn the parts and what they do. I love color-coded mapping activities. I think the process of identifying the part and coloring it can help our more visual and kinesthetic learners retain the information. I also have another version. 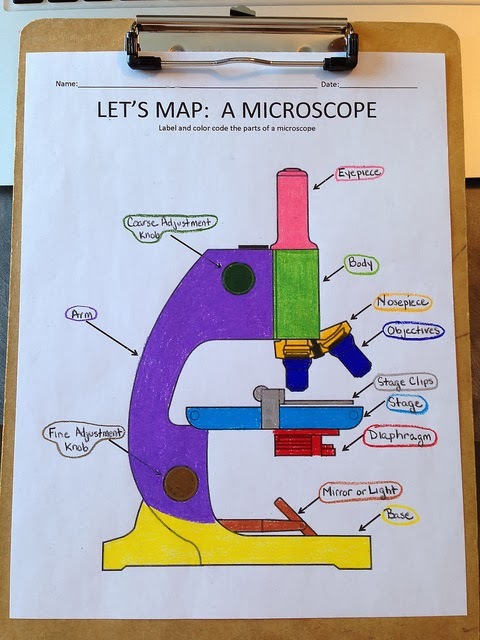 This allows students to label and color the microscope themselves. It also allows for differences in vocabulary. For example, you may use the term objective lens instead of objective in your classroom. I always have them circle the label with the color of the part. Sometimes I have them list the function alongside the label. 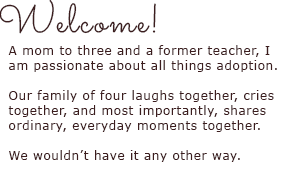 If this activity would be a help in your classroom, you can find it here. I also have other mapping activities available here. This blog is great and helpful for readers about the fluorescence Microscopes.